The Concussion movie starring Will Smith and Alec Baldwin is raising awareness and important concerns for many victims of this misunderstood condition. If you are, or know, an athlete or accident victim who has experienced a brain injury through concussion, then you know the impact it can have on health and quality of life. Headaches, neck pain, memory loss and depression are just a few of the many symptoms that can occur and the severity can range from mild to severe. Chiropractic care should be an important part of the care that you receive as quickly as possible after a concussion injury occurs. 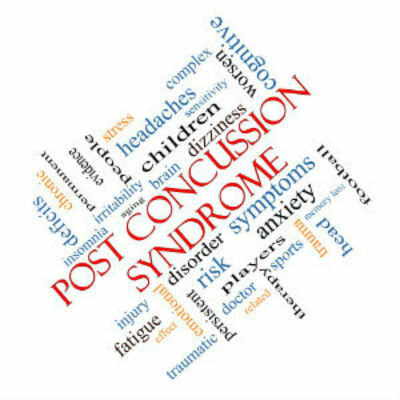 Topics in Integrative Healthcare recently released a report regarding SRC (sports-related concussion) and the benefits of chiropractic care for the injury. “A short course of cervical manipulation (adjustments) and upper thoracic manipulation was suggested and applied. The patient noted significant symptomatic relief after the second treatment and virtually complete resolution of symptoms after five visits performed over two weeks.” Unfortunately, there are a high number of young athletes that do not seek care who experience longer periods of impairment and delay in their return to play. There are many chiropractic techniques to help accelerate healing of a concussion injury. These techniques analyze how the brain is communicating with the body over the nervous system and make corrections to get the brain and body functioning better. An examination of the neck is extremely important for patients who suffer from concussions. If you have received a trauma that is hard enough to injure your head and brain, it’s likely to also have caused injury to the neck. Overlooking the neck as a component of healing is a big mistake which can delay healing and lead to chronic problems and deterioration in both the spine and nervous system. These spinal subluxations, when present, cause miscommunication in the nervous system which can make the symptoms worse and prevent healing. Depending on the extent and severity of the injury, results vary for each person. Regardless, it is important to include chiropractic evaluation and adjustment protocols to ensure the possibility of optimal healing and return to normal function. Each year, 1.6-3.8 million sports-related brain injuries occur, 136,000 of them in young athletes during high school sports (1). Traditional methods alone can limit the possibilities of healing and delay return to normal function. If you or a loved one has had a concussion, schedule a time to get your spine and nervous system checked. If you have not, schedule a time to get checked anyway to ensure that your spine and nervous system are healthy. You will optimize its function of today while you also strengthen yourself in case of an emergency down the road. See you at your appointment. 1. Langlois JA, Rutland-Brown W, Wald MM. The epidemiology and impact of traumatic brain injury: a brief overview. J Head Trauma Rehabil 2006; 21:375-8.